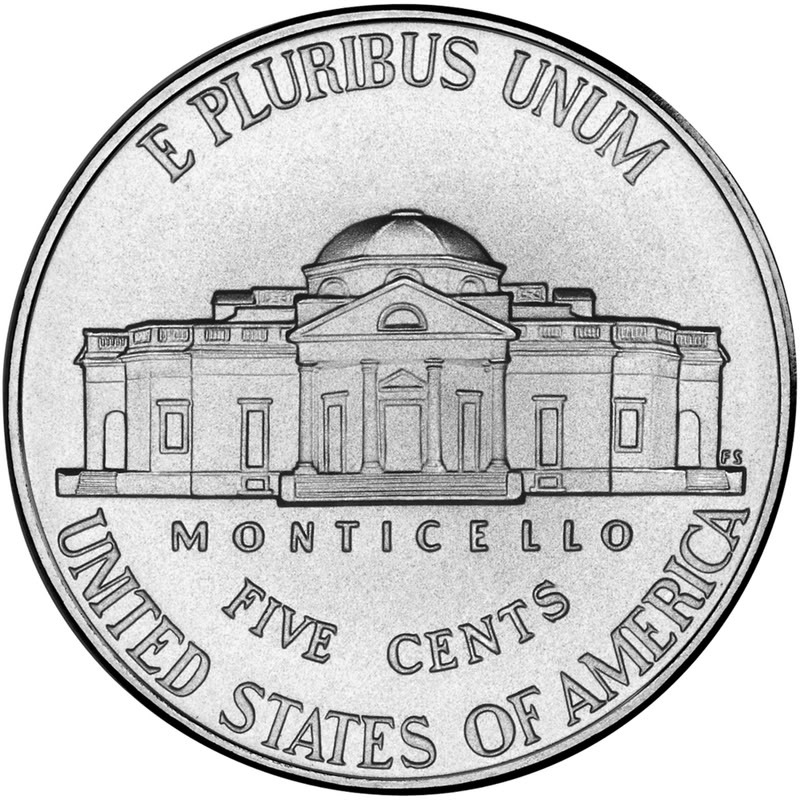 Though a nickel will not buy much today the element nickel is invaluable to our contemporary way of life. Without access to this nonferrous metal, much of what we take for granted would not be practical or in many cases possible.Automobiles would be fragile–hitting a pothole would, as in very early cars, often break an axle. Internal combustion engines could not be depended upon and would also weigh a great deal more per unit of horse-power than the motors we are accustomed to. Airplanes, if they could be made to fly (the Wright brothers used a motor that took advantage of nickel steel’s superior strength to weight ratio), would be terribly unsafe. Jet powered flight would be impossible–the strength that nickel gives to steel at high temperatures made this type engine feasible. No buildings could scrape the sky without nickel’s contribution; steel bridges would be massive, ugly and corrode rapidly as well. In essence, our world would appear and function much as it did one hundred years ago, for it was in the late 1880’s when nickel-steel became a product. The discovery of this nickel-steel key to our century is quite fascinating. John Gamgee, an eccentric inventor, had succeeded in convincing U.S. government officials that victims of a yellow fever epidemic, then sweeping the south, could be brought back to health by living in a cold environment. Gamgee’s plan was to develop a refrigerated hospital ship which could travel from port to port, pick up victims, and freeze the fever out of them. Aiding Gamgee in this enterprise was Samuel J. Ritchie, a carriage manufacturer, who had recently met the inventor by chance (their Washington, D.C. hotel rooms were next door to one another). With Ritchie’s help, Gamgee received a promise from the Senate Committee on Epidemic Diseases for an appropriation of a quarter million dollars if the inventor could prove that a workable refrigeration system was possible. A machine shop at a local Navy shipyard was made available to Gamgee so that he could construct and demonstrate his cooling apparatus to the committee. The two men, excited by this find, invited the Senate committee to come take a look for themselves. Duly impressed, it seemed certain that the committee would give the go ahead on Gamgee’s project. Unfortunately, the inventor chose this occasion to differ with the committee chairman over the cost and management of the proposed ship. The arguing continued. The weather cooled. The mosquitoes died and so brought the yellow fever epidemic to an end. Public attention turned elsewhere leaving Gamgee with no funds to continue his project. Ritchie returned to his Akron, Ohio carriage business undoubtedly thinking . . . “well, that’s that.” He could not have known what a profound effect his experience with Gamgee was to have on his future. The discovery of this nickel in these ores . . . was unexpected news . . . . We had no suspicion that they were anything but copper ores. This discovery changed the whole situation . . . . As the world’s annual consumption of nickel was then only about 1,000 tons, the question was what was to be done with all the nickel which these deposits could produce. I at once recalled . . . John Gamgee in the Navy Yard at Washington . . . and it occurred to me that nickel could be used with success in the manufacture of guns and for many other purposes as an alloy with iron and steel. This occurred late in 1886. Ritchie fired off a letter to the famous gun-maker, Krupp, in Essen, Germany, telling him of the experiments Gamgee had performed a decade earlier. Krupp replied that there was not enough nickel in the world to warrant experiments which pointed to greater use of the element. Ritchie knew better. By 1890 things had changed considerably; a nickel pickle was on the world’s platter and little would remain the same. Since the first attempt to build automobiles, early in the 90’s, experimenters have had difficulty in getting materials suitable for the purpose. Steel of high tensile strength was employed but the results were not satisfactory. Lower carbon steels were tried, but they lasted only a few weeks, or months, and then broke off short. Swedish iron did not break, but when the first hard bump was encountered it took a set and the wobbling rear wheels indicated what had happened. Finally a steel of moderately low carbon was introduced which gave only fair results, and if the car was driven for any length of time over rough roads, this also crystallized and broke off. Nickel changed all this. Nickel would alter conditions far more than it had in 1907 when Haynes addressed his audience of mechanical engineers at Indianapolis, Indiana. The following year (1908) Model T’s started rolling off the line. From here on, the pace of social change got quicker, and, as a consequence of building and operating the equipment that drove this change, our planet’s air became thicker. There is great irony in civilization’s meteoric path to the present state of affairs. Recall that Gamgee was inspired by the physical properties of meteorites to try nickel as an alloy with iron. Gamgee’s results caused Ritchie to recognize the potential of this then scarce metal when he later stumbled upon a huge quantity of it. What no one was to realize for quite some time was that the nickel, copper, iron, platinum, iridium, gold, silver, and other metals extracted from the ores of Sudbury had arrived there very suddenly about 1.7 billion years ago. In a very real sense, we have built high-tech from a meteoroid wreck. The large quantity of nickel available from this debris (that once constituted an asteroid estimated to have been two and one-half miles across) allowed Canada to dominate world production of this metal for better than half a century. There is, though, a very large price being paid for salvaging this mega-meteorite scrap–acid rain. The dangerous drop in the pH value of rain water can not, of course, be blamed on this one metal refinery. Sudbury is, however, an excellent example of why our showers are turning sour. A nickel/copper smelting plant, owned by International Nickel (Inco), in this region has the unwanted distinction of being world champ in sulphur dioxide (SO2) emission. This one operation spews over six hundred thousand tons of SO2 into our air annually–about two times the yearly output of Sweden, a nation that now has around twenty thousand acidified lakes, one fifth of which no longer contain fish. Combined SO2 emissions from eastern Canada’s non-ferrous metal industry amounted to over two million tons in 1980, forty-five percent of Canada’s total SO2 contribution, east of Saskatchewan. Mining landed asteroids is definitely not a practice that will improve our present environment. There is, though, a way to get ourselves out of the “picklish” situation an abundant supply of nickel allowed us to get into. The arms race, however, is very much a product of discordant global attitudes. Unless we soon learn to work in concert toward a harmonious relation between ourselves and the rest of nature, this meteoric rise in capability we have recently experienced will end with a catastrophic crash of civilization. A downfall that, if caused by continued industrial malpractice or a nuclear confrontation over controls of limited resources, will have a tremendously devastating impact upon all of Life on Earth.To survive, we must do better.